As a homeowner, you might be proud of the property that you have purchased and turned into a home for yourself and your family. If you’re proud of and happy with your home, it is probably important to you to keep it in good shape. These are a few house care tips that can help you keep your home in great condition. If you don’t have the right cleaning supplies, then you’re going to have a hard time taking good care of your home. You may have to experiment a little bit so that you can find out which products you prefer and which ones work best for you. Starting out with the essentials, like a good vacuum cleaner, a mop, and assorted cleaning solutions can help you clean your home thoroughly and with ease. First of all, it’s important not to get behind on home cleaning. It can be easy to put tasks off, but the problem with this is that it can just lead to bigger messes and messes that are more difficult to clean up properly. Try the clean-as-you-go method, like vacuuming the whole room when you need to clean up just one spot, or picking up one item from every room you visit. Whatever you do, make it a point to stay on top of things. This makes things easier for yourself and can keep your home much nicer at the same time. Lastly, it’s important to get your whole family involved with household cleaning. This can help you prevent your home from becoming as much of a mess in the first place, and it can help you encourage your loved ones to have pride in your family’s home as well. Even though you might try to do most of the care of your home yourself, you shouldn’t be afraid to ask for professional help sometimes. If you are having trouble staying on top of cleaning, for example, hiring a cleaning service to come in occasionally isn’t a bad idea. 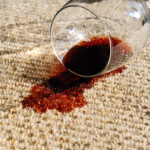 Additionally, at times, you may need to hire professionals who specialize in certain things, such as carpet cleaning, in order to get the job done properly. Even when DIY options are available, the pros tend to do it a lot better. As you can probably see, there are a few tips that you can follow if you are a homeowner who wants to take the best care of your home that you can. Once you start making these things a habit, you might find that taking good care of your home is even easier than you thought it would be. Then, you can ensure that your home remains a nice, clean place that you and your family can continue to enjoy.